Lucy Thomson is a naturally active and motivated individual. She was already fit and healthy when she discovered suspension training. But the moment she tried it herself, she knew she had to learn more. Lucy teaches a form of suspension training called “Total Body Resistance Exercise”, also referred to as TRX. Originally developed by a Navy Seal in the USA, this increasingly popular workout develops strength, flexibility and balance. In order to perform the exercises correctly, participants need a TRX suspension trainer, which is a portable training tool that utilises gravity and the person’s own bodyweight to facilitate hundreds of different exercises. The TRX equipment is made up of good quality nylon with two handles on the end of stretchable bands, which can be suspended on everything from a door to a metal pole. A range of exercises are possible with just a single piece of equipment, including hamstring bicycles, TRX pikes, lower back stretches, atomic oblique push-ups, single-arm power pulls and bicep curls. 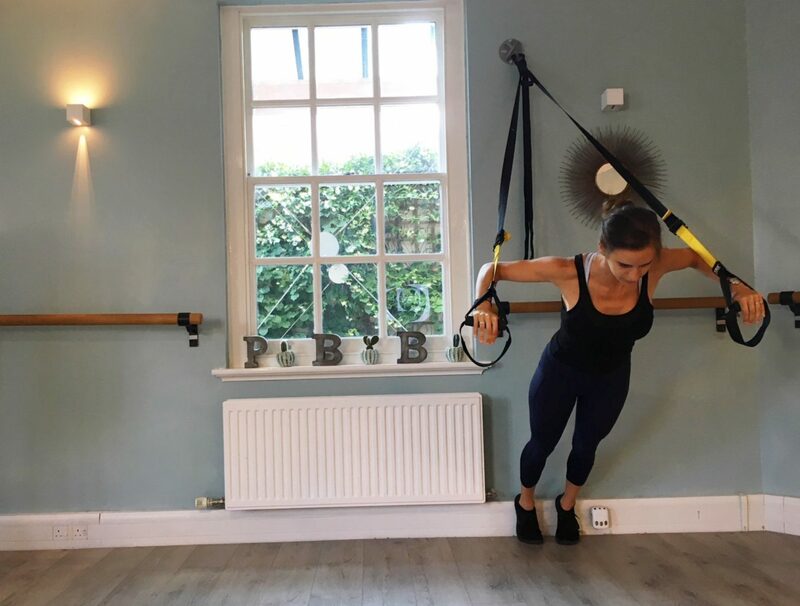 Lucy now teaches her TRX classes at the Slice Fitness Studio in Parsons Green, London, and she also uses the techniques with her PT clients. From the moment she first saw TRX in action, Lucy has been excited by what it can offer. She said: “I first attended a few classes at a studio close to home, and became instantly hooked. I then started to use it by myself at my local gym. “Once I had qualified as a personal trainer, I just knew I had to take the TRX instructor course, as it was the one piece of equipment I knew would help my clients. I absolutely love it and can’t recommend it enough. What are the benefits of TRX? 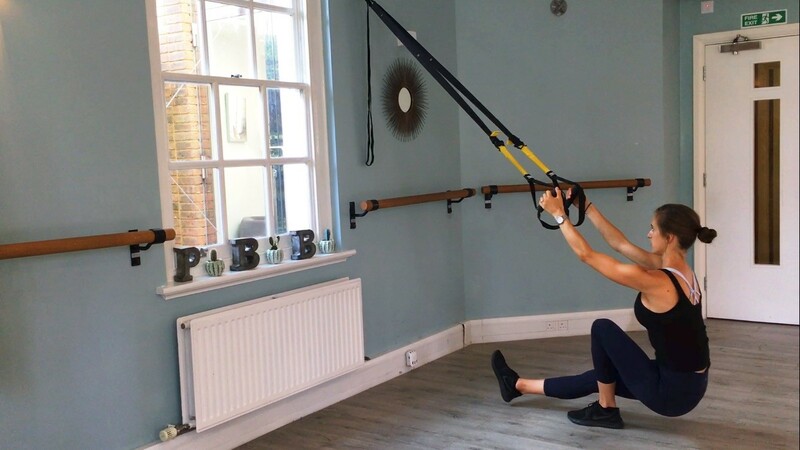 Lucy initially saw the benefits of suspension training and TRX first-hand, and when she finally qualified as an instructor, her clients experienced those benefits too. She said: “It is such a versatile piece of equipment. It improves strength and core stability, and it also helps to develop muscle mass, flexibility and mobility. You can actually work every muscle in the body with it, which you simply can’t do with other equipment. TRX is becoming increasingly popular, and new classes are starting in local gyms all the time. Participants can also buy their own equipment and perform many of the exercises in the comfort of their own home. But when it comes to trying TRX for the first time, Lucy has a clear message: book one of her classes! Suspension training gives people a range of exercise options, which makes it perfect for people of all shapes, mobility and fitness levels. There are a few relatively gentle exercises for people trying to gradually increase their strength and fitness, but there are also several advanced workout routines for experienced fitness enthusiasts. Lucy is acutely aware that many people are wary about this type of exercise. Some people just don’t believe they have the strength required, but Lucy believes that TRX can be adapted to suit anyone. The mobility and versatility of TRX suspension training means it is accessible to all types of people. The workout is growing in popularity in gyms and homes alike, but it needs to be executed correctly if it’s going to deliver all the associated benefits. Getting the technique of each exercise isn’t just a matter of reaping the rewards, it’s also about staying safe. Speak to a professional about technique before getting started. Either book a session with a qualified personal trainer, or ask about TRX at your local gym. There are many TRX studios and gym classes available now. If you don’t live near Parsons Green in London, Google “TRX suspension training” to find classes near you. There are now some great instructional videos on YouTube and the TRX website. Stick to simple workouts at first. Begin your TRX journey with the exercises that you feel most comfortable with — but always be challenging yourself. Be patient, and build your strength, balance and core stability bit by bit. Once you’ve mastered the basics, move onto intermediate workouts. Find a friend that wants to try TRX as much as you do, and go to classes together. This is a great way of overcoming nerves, as it provides you with strength in numbers. TRX suspension training can be adapted to injuries, mobility issues and varying strength levels. So whatever shape you’re in right now, give it a try! Qualifications: Too many to mention! 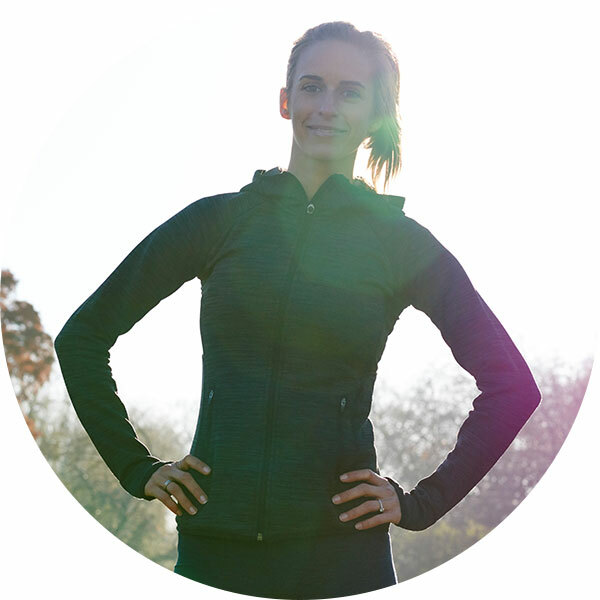 Areas of Expertise: Personal Training, Pre & Post Natal, Nutrition & much more! Mission: To motivate people to become healthier versions of themselves, to lead a healthy balanced lifestyle year round and to challenge people to move more and try new forms of exercise!